Our focus is simple. To supply our customers with high quality equipment and to provide the best possible after-sales service with a genuine commitment not to “product hype” or mislead to achieve a sale. 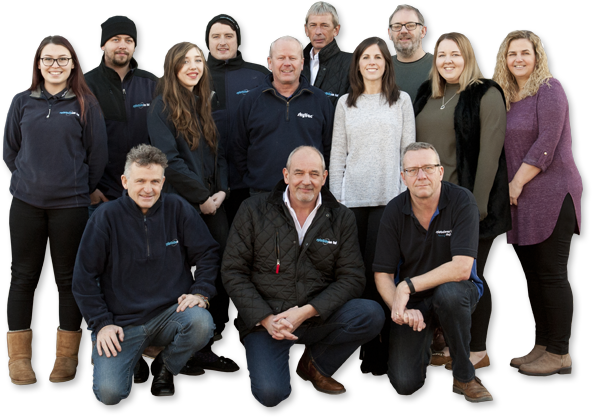 With over fifty years combined experience in the cleaning industry, we are global leaders in designing and manufacturing world-leading vacuum and paving cleaning equipment. Originally offering a paving cleaning service to Northamptonshire, we now pride ourselves on being a ‘one stop shop’ of the highest quality and reliable products. With over 487 products in our range, our world-renowned brands including SkyVac™ & SlipStream. Designed by Spinaclean’s MD Andy Whiting, in 2003 the SkyVac™ system revolutionised professional gutter cleaning and is an innovative, low-cost, high-reach cleaning and inspection system with industrial-strength suction. Firmly established in over 35 countries, today the SkyVac is the world’s most powerful gutter cleaning machine and has successfully evolved into an internal high-level cleaning system. With our customers at the forefront of our minds, we are continuously innovating to ensure our product range remains unique and successful. Recent developments include the World’s first portable gutter-cleaning machine, the all-in-one SkyVac™ Elite poles, (which will have the lightest weight to size ratio on the gutter-cleaning market) and the world’s first internal telescopic vaccum poles.